I can definitely see Alyssa and Tia. Justine, sure, maybe. Meloni would probably end up as a baddie-antihero in the Tom Eplin mold. MJF, I’m having more trouble picturing, not just because of his illness, which soaps wouldn’t have known what to do with. Where would you picture him? I didn't even consider MJF presently on a soap. I was thinking more after Doc Hollywood but before Spin City. I think he would've been good on a P&G soap either As The World Turns or Guiding Light. Yeah, he’d have thrived on a soap like ATWT (up until a certain point anyway). They liked the sensitive DeFreitas/Kavovit types who weren’t conventional hunks. His height would become an issue, I’m sure. Billy Warlock certainly worked a lot, but you can see how marginalized and emasculated he became. If Michael J. 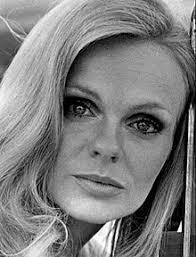 Fox "belonged" on any soap, it would've been AMC, during the Greg/Jenny/Jesse/Angie/Liza/Tad heyday. That’s interesting. I wonder if he’d have been a second banana due to his small stature or if his charisma would have shone through and overshadowed Larry Lau or MEK. Alternate histories are fascinating. Okay, but I first I have to figure out which one's Tamera. I've been at that since "Sister, Sister" and I'm still at a loss. I always think of soap parts for the lost glamour actresses of the 70s. The kind of women who were always on Fantasy Island, but not quite on Charlie's Angels. I am a classic TV fan. What actors do you think should have done soaps later in their career ? Her brother, Jimmy, was on GH. Bill Bixby had he lived...a doctor character anywhere. Barbara Bain could have a played a cool, dispassionate shrink, maybe a Gail Baldwin/GH type. I've always wanted Cathy Moriarty on a soap. Her and Catherine Zeta-Jones, with those appealing seductive voices, would be a sure fire win. What could have been ... I'm now picturing Michael's ample charisma being put to excellent use as Tad Martin. I see any or all of these women as a Cassadine mistress who reforms, sort of like Tiffany Hill if she hadn't become one of the gang. Latoya Jackson (see her playing a campy/quirky character). 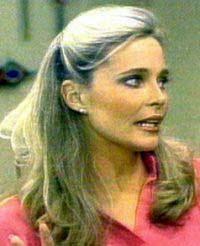 Oh, definitely Shelley Smith should have been on Y&R at some point during the late '70's or early '80's. I also feel that Nancy McKeon or Kristy McNichol would have been perfect members of the Cooper family on GL. Perhaps cousins, or even one of them being a Harley recast. Tamera has the mole. Tia is prettier (which I'm sure you can't see since you can't tell them apart but trust me on this).